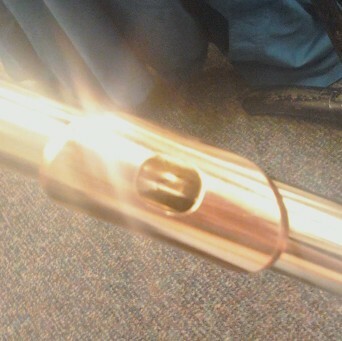 In my previous post, I discussed embouchure, particularly lower lip placement and formation. In today’s post, I’ll be covering tongue placement. To produce great tone, the back of the tongue should be placed higher in the mouth. This causes the air to pass over it in a more “compressed” fashion and exit the aperture (the hole your lips make) at a higher, more energized speed. If the tongue is too low in the mouth, placing the tongue higher almost always results in a dramatic improvement in sound. “Mountain” tongue — think of the tongue as a mountain range inside the mouth. Just as with mountains on earth, the air passing over them moves at a faster rate. Say the word “key.” Say it several times while noticing where the sides of your tongue contact your teeth. You should feel the sides contacting your upper molars. Make changes gradually! After you have done the “key” exercise, play a long note using the new tongue position. Assuming you are moving enough air and have established breath support, you should hear the sound become stronger and more defined. Once you’ve achieved this, try tonguing. If you notice the sound is negatively affected, you may be tonguing between the lips. This is an established method of tonguing, usually taught with the “spitting rice” technique, but it’s not the tonguing I teach for multiple reasons, and this is one of them. In my opinion, it’s difficult to tongue between the lips while maintaining a high tongue position. It’s almost as though the tongue isn’t long enough to do both. If you feel this is your difficulty, try tonguing so the tip of the tongue lands on the backside of the upper front teeth, as though you are saying “too.” Once you’ve got the hang of that, go back to the high tongue placement exercises. 1 Response to "Great Tone: Part 2 of 3"